The spring-driven, eight-day movement of this travelling clock is constructed between plates. It consists of going and striking trains. 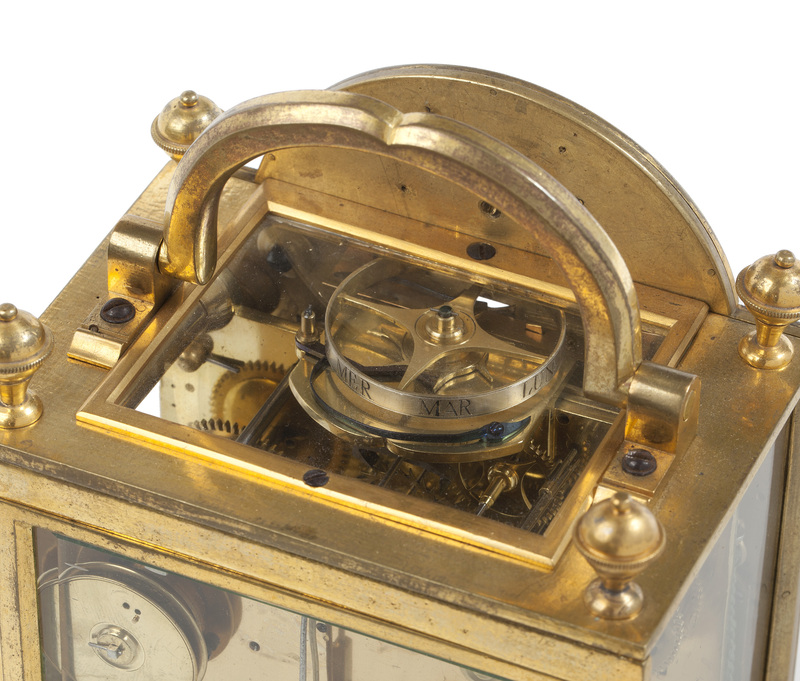 The going train has a fusee and anchor escapement with a short pendulum. 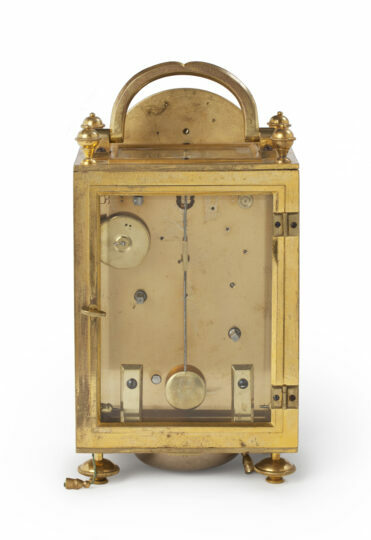 The rack-striking train indicates the hour fully and the half-hours with a single stroke on a bell, situated under the case. 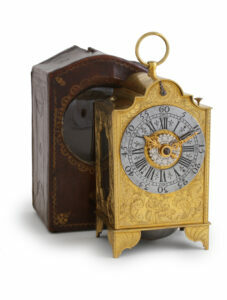 The clock is wound from the rear side. In addition the clock has an alarm, which is wound by pulling a chord and set by a central blued-steel pointer on the chapter ring. The convex circular enamelled dial has a Roman chapter ring with Arabic five-minute and minute divisions. 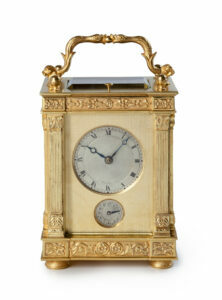 The time is indicated by a fine pair of symmetrically pierced gilt-brass hands. 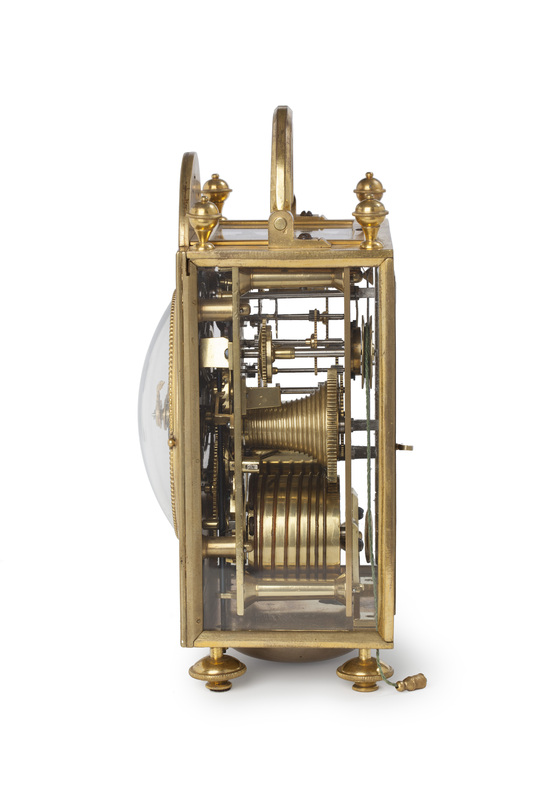 The dial is protected by a convex glass set in a moulded gilt-brass bezel, embellished by a pearl string. 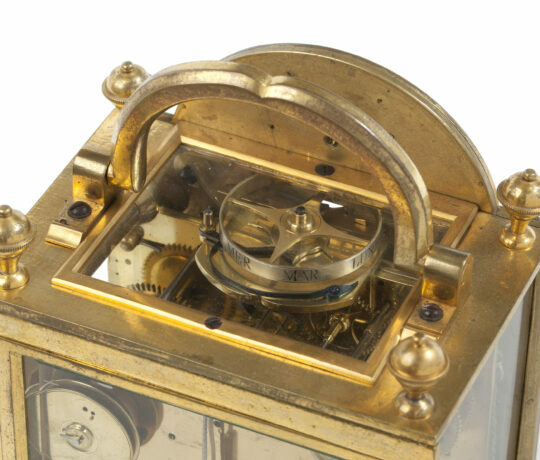 Above the dial are date and day apertures, the latter showing an abbreviated name of the day in French. 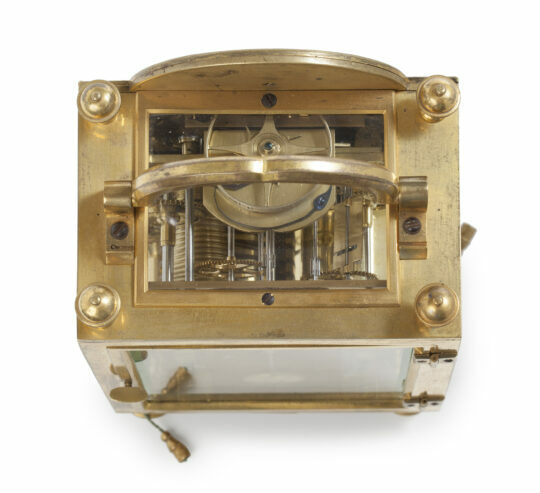 The rectangular arched bronzed-brass case of this travelling clock has gilt-brass ribbon and leaf-vine swag ornaments on the front. There is a medallion in the arch depicting a head in a sunburst surround. Below the dial is an enamelled signature plaque: Beckera Invenit et Fecit. The plaque is flanked by two leaf ornaments. 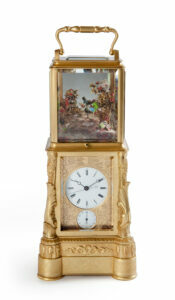 The case is surmounted by a gilt-brass carrying handle, as well as four shaped finials on the corners. 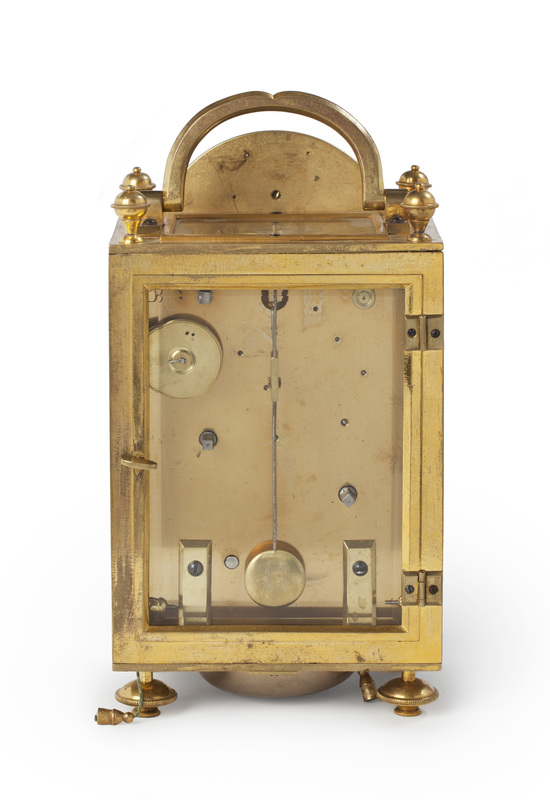 There is a glazed door at the back giving access to the pendulum and the winding arbors. The whole rests on four shaped gilt-brass feet. 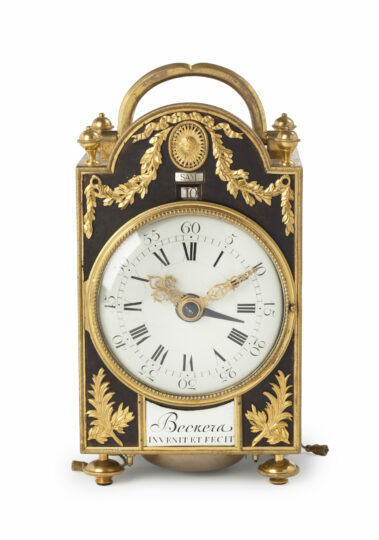 Antoine Beckers (Beckera) was born in Paris in 1726. He was apprenticed in 1743. In 1775 he was active in the Rue des Condeliers and in the years 1777-1779 in the Rue Guénégaud.